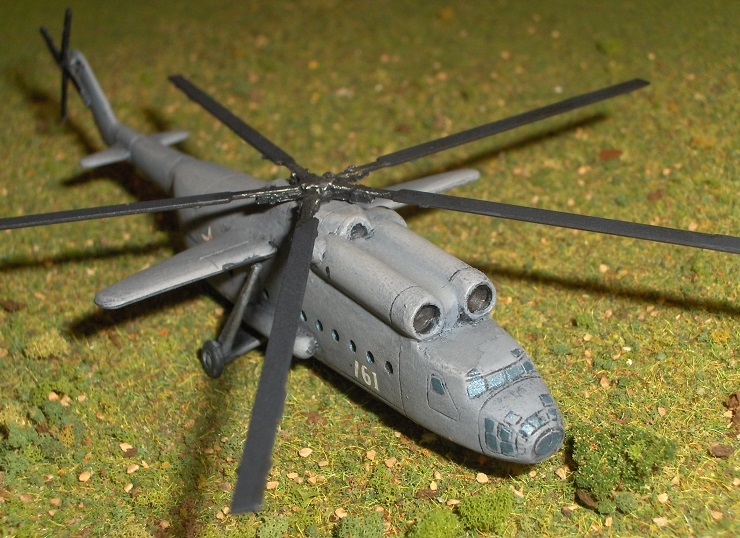 Recently, Heroics & Ros released several multi-media models of Soviet-era helicopters, namely the Mi-6 and the Mi-26. 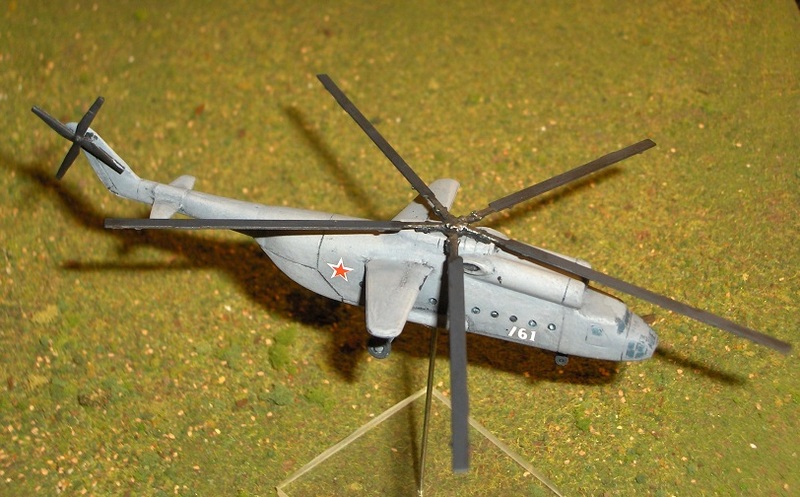 I recently purchased the Mi-6, and what follows is a guide to building it, along with some comments. 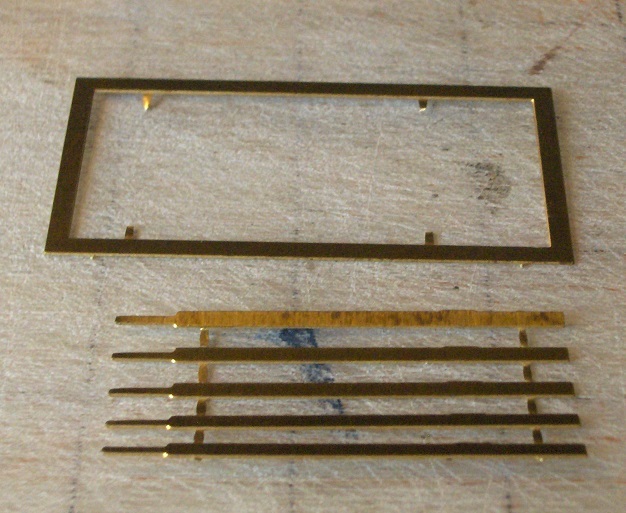 First off, out of the box, the components are a combination of pewter, brass and resin. While construction may look daunting, the fit of the parts makes the process surprisingly easy, even for someone (like me) who lacks any skill at this sort of thing. The first step is cleaning up the resin body. That actually doesn't involve much other than sanding down the mold line across the bottom. While resin parts can often be a bit dicey in this scale, this model doesn't have those problems -- the casting is crisp and the detail excellent. Particularly commendable are the well-scribed lines. For the next step, I added the rears winglets. This was the only complaint I had about the model... the piece doesn't quite sit flush with the boom. I probably should have sanded down the resin section... but I didn't. My bad. I also attached the two sets of wheels, which fit easily and flush. 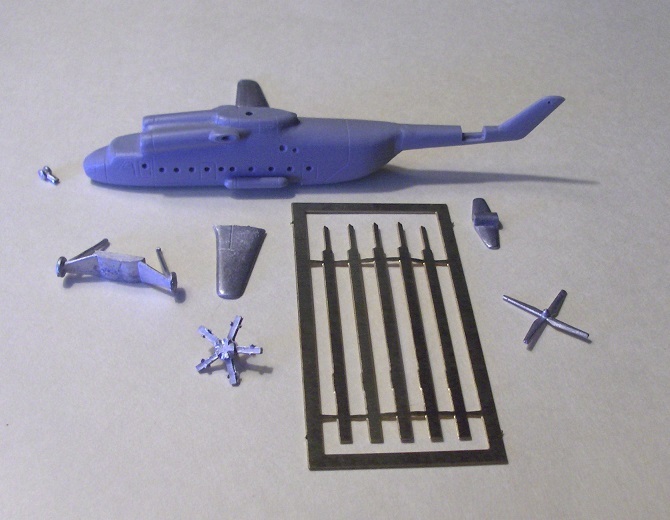 Next, I cut out the rotors from their sprue. 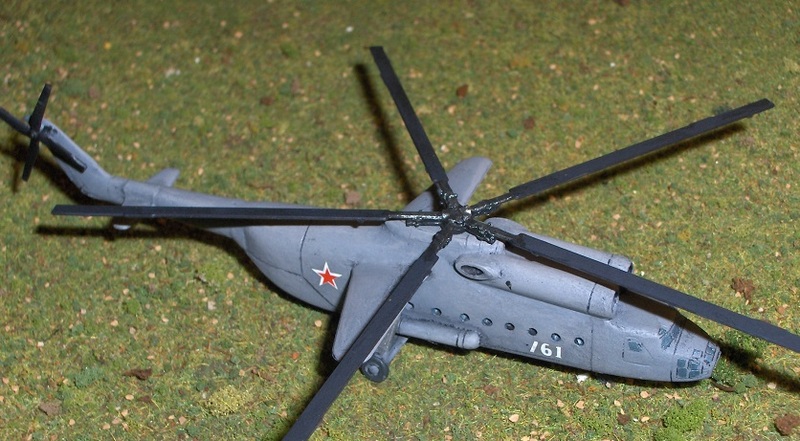 The key here is that there is a clear line between the edge of the rotor blades and the tabs connecting them to each other and the frame. It makes positioning the knife flush against them a snap, and eliminates the necessity for attempt to scrap the remainder off the blade later. 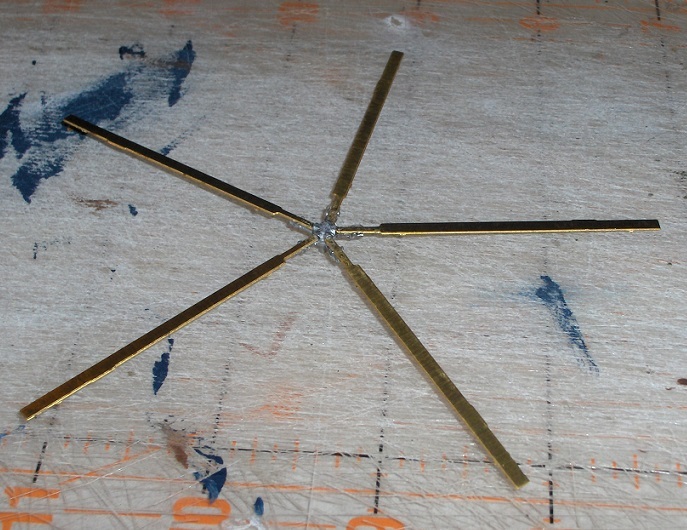 Fixing the blades to the rotor hub proved surprising easy. 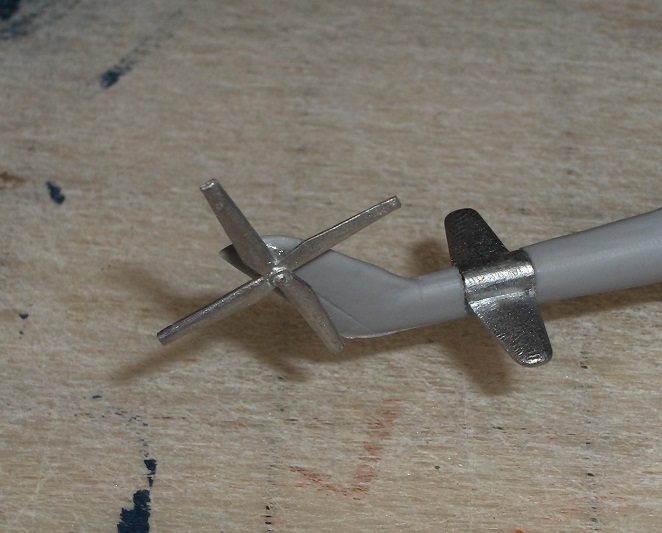 Unlike every other similar piece I have assembled, the rotor hub is cast such that you it holds the blades firm (you basically just snap them in), turning an onerous task into a quick and simple one. I next looked to attacks the main wings, which are fairly sizable, to the hull. The two different size holes made positioning them easy, but they didn't quite fit flush. I fixed that with a light fill of liquid green stuff. 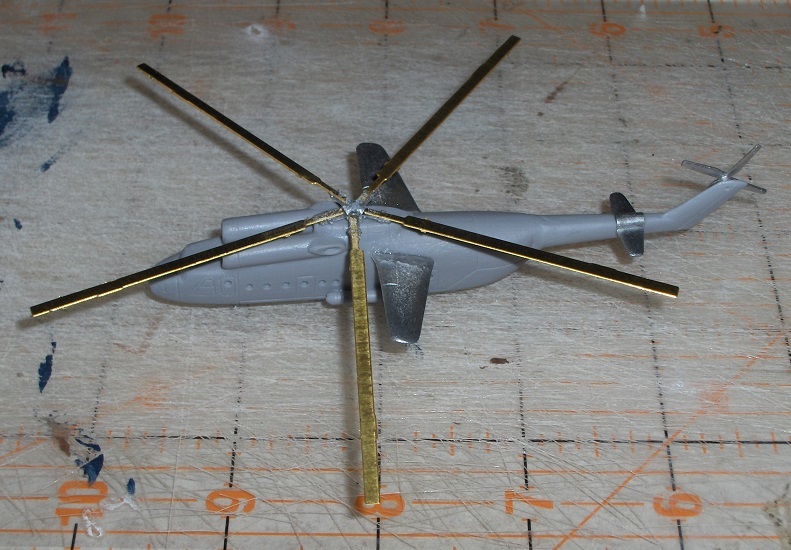 The final step was attaching the tail rotor. I had to look online to determine which side is should go on, as there are holes on both sides. I affixed it to the proper one and filled the other with putty. 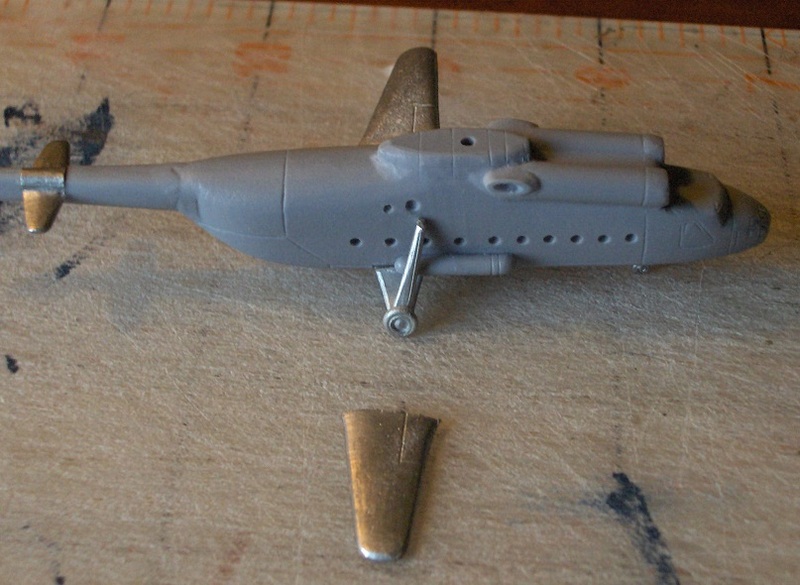 This is the final assembly of the model, prior to the use of filler putty. 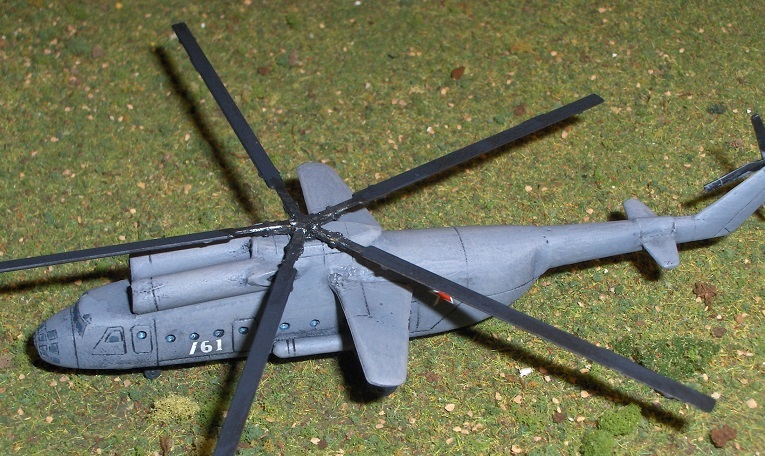 The rotor hub sits cleanly on the hull, and could remain unglued if you so choose (as it is in this photo). I painted the model a medium gray, with a lot of washing. Most photos of this beast show aircraft that look worn and battered, a look I was attempting to simulate. Don't ask about the decals -- I pulled them out of a file labeled "Russian" in a drawer in my workshop, but I have no idea of their provenance. I basically just liked the way they looked. 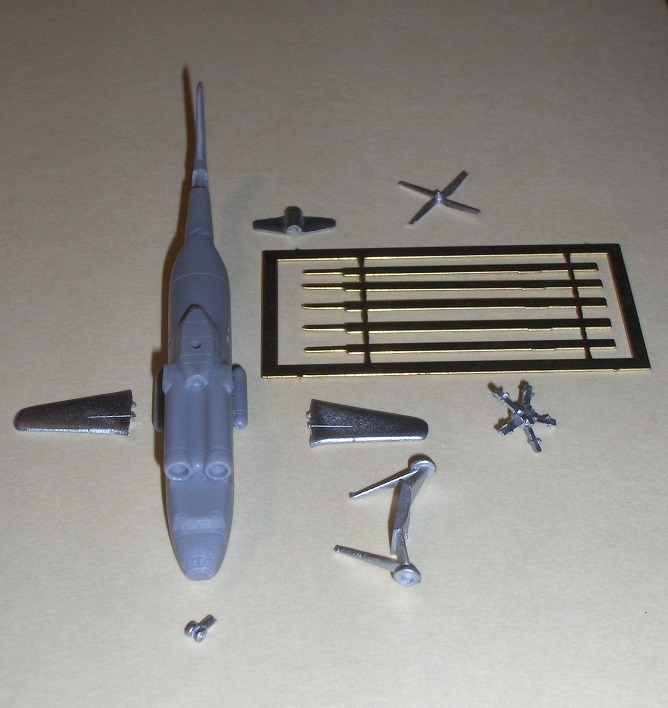 Overall, if you have any interest in Cold War models, this kit is something of a must-have. No one else makes anything like it, and it is truly an impressive model. Thanks to the team at H&R for filling a much-needed gap. The model can be ordered from Heroics & Ros for about $20 US (15 pounds).